The perfect choice for your next studio class. A wide smooth waistband sits comfortably at the waist. 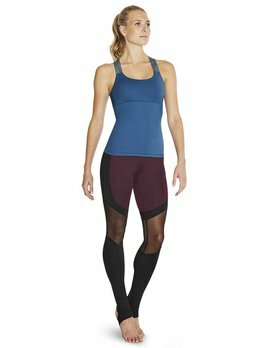 Printed lily stripe mesh decorates the calf of this 7/8 length legging.